Hello World! My First Quilt Challenge Success! It is a little scarey to publish your first blog post. I have been wanting to do this for a while, and now have taken the plunge. I entered my very first challenge this past month, and won with the quilt block “Spinning Transparent Geese”. 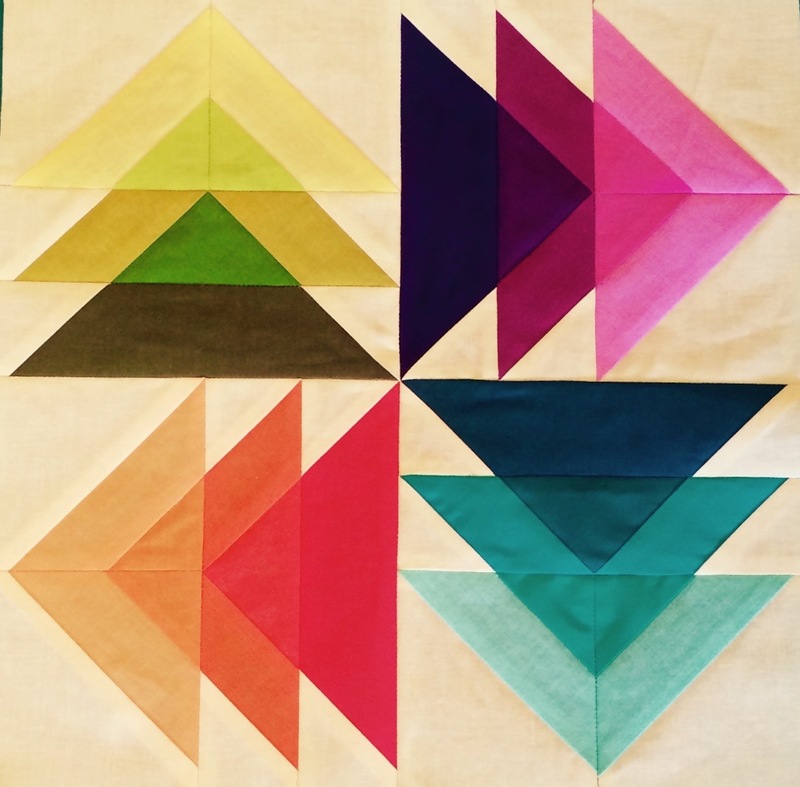 Modern Quilts Unlimited Magazine http://www.modernquilts.mqumag.com/july-block-and-quilt-challenge-winner/ and Michael Miller Fabrics are sponsoring a 12 month block challenge, “Everything Old is New Again”. 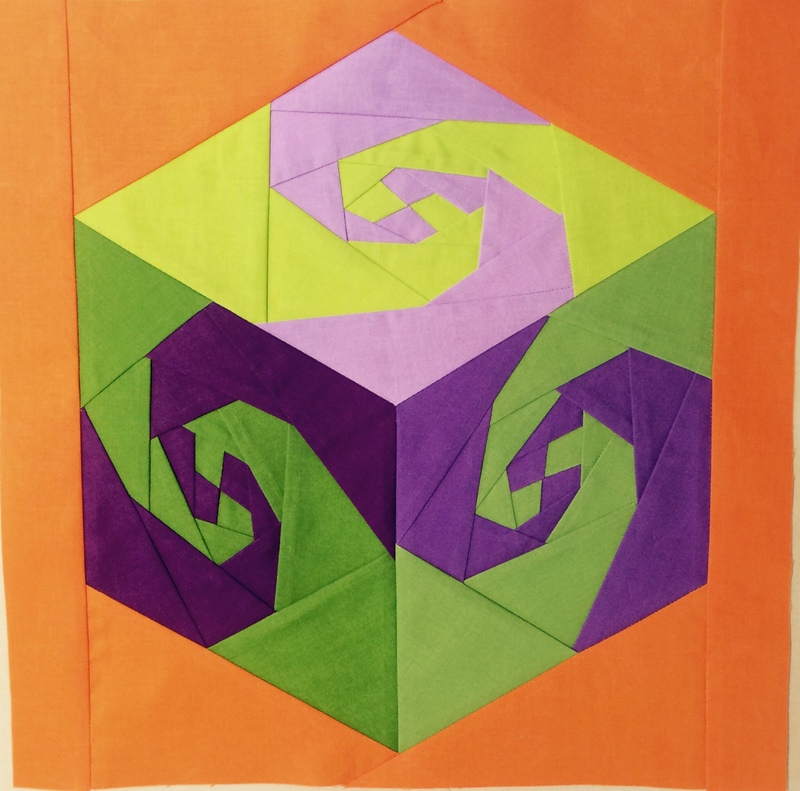 Every month there will be a new block and at the end of the 12 months, the blocks will be put together to make a quilt and then there will be a quilt challenge. Spinning Transparent Geese is my take on the traditional flying geese quilt block. I was really excited! You would have thought I’d won the lottery! I have been thinking about doing a transparency quilt, and this was a fun exercise. I was really happy with how it turned out. 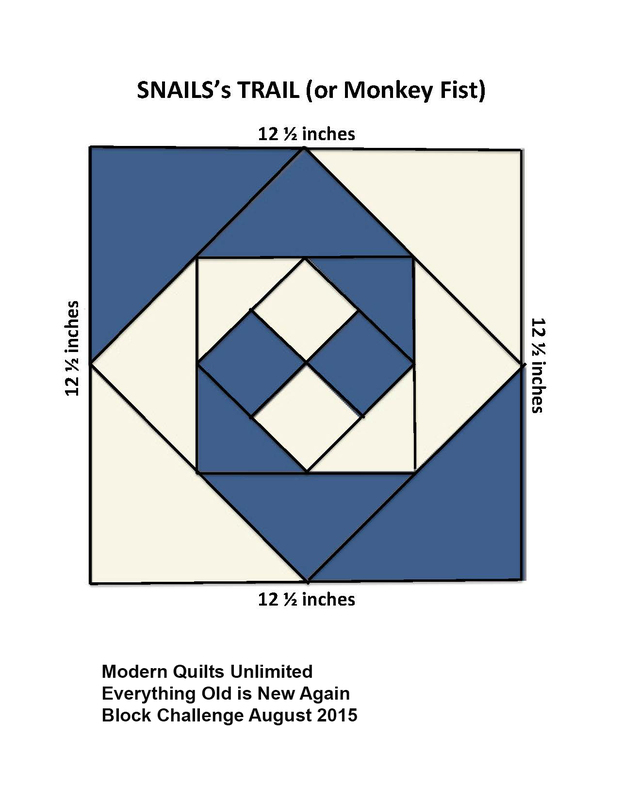 The next block is “Snails Trail” shown to the right. I have something really exciting I’ve designed for that. Stay tuned for the next block! I’ll post the link for voting on Sept 11th. If I’m not riding, I’m quilting….